Every Superior product is guaranteed to fill your printing needs. We stand behind our products completely. We put more value into our products in order to avoid problems. We have the lowest return percentage of other manufacturers in our league. Good quality, low cost, durable plates that are not as particular about the environment they are stored in and have an extended shelf life. This plate receives a presensitized coating when manufactured. This saves you money and valuable time during preparation. 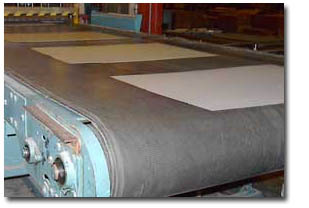 Our Subtractive plate cuts overall costs by reducing paper and ink usage. Quick roll-up after roll changes saves you time. No more scumming, tinting, toning or corrosion spots (black spots). We manufactured our own Plate Chemistry that can easily be shipped with your order. Our Aditive chemistry includes developers, gums, fountain solutions and diazos. Our Subtractive developer and finisher is user-friendly, odorless, non-toxic, water soluble and biodegradable. Phone 800-821-5587 and talk to a courteous and knowledgeable Customer Service Representative who will help make the process as fast and easy as possible. Your total satisfaction is our promise and commitment. We've built our reputation on providing our customers with the very best in service and support. You'll find friendly, well-informed people on the other end of every phone line. We are well known for our quick turn-around time. Our 3-4 week delivery time is superior to our competitor's 6-8 week schedules. Just because our delivery time is short the quality does not have to be. At Superior, cleanliness and efficiency are paramount. Rules concerning the condition of the equipment are rigidly enforced to guarantee the highest quality for our customers. Computerized machinery is utilized for all plate manufacturing operations to ensure consistency, quality and dependability. Final products are tested, inspected and measured so that every shipment strictly adheres to our exacting standards. With over 18 years in plate manufacturing, Superior has the staff to answer your questions. It is our goal to put our 100 years of collective experience to work for you.